Oliver L. Velez, international bestselling author, world-renowned trader, advisor, and entrepreneur, is one of the most sought after speakers and teachers on the subject of trading financial markets for a living. His seminars and speaking events have been attended by tens of millions of traders all over the world, and his runaway best selling books, "Strategies for Profiting on Every Trade" and "Tools and Tactics of the Master Day Trader," are considered must-read classics for anyone interested in trading markets for a living. In 1999, Dow Jones dubbed him "The Messiah of Trading" and financial programs on CNBC, CBS and Fox News frequently seek out his expertise. Mr. Velez and his life-long dedication to bringing more awareness to trading as a way of life have been favorably mentioned in the New York Times, the Wall Street Journal, Investor's Business Daily, Barron's, Forbes, Stocks & Commodities, Equities Magazine and a whole host of other financial publications. He has also been the subject of numerous articles and books written about Wall Street's most successful traders, including the popular books, Bulls, Bears and Brains and The Guts & Glory of Day Trading. 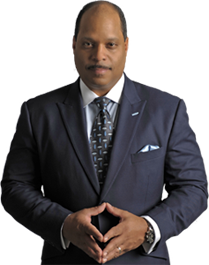 Oliver L. Velez is internationally known for founding and growing Pristine Capital Holdings, Inc. (his first firm which he started out of his New York City basement apartment) into one of the country's premier educational institutions for investors and self-directed, retail traders. In 2007, Mr. Velez turned his full attention to the professional trading arena by designing an award-winning training program called Trade for Life, which included a 2-day seminar and a 5-day Live Trading Session with Mr. Velez himself. This program was designed to train traders to go beyond retail to actively trade the markets professionally for a living and today teaches nearly 3,000 traders worldwide how to navigate the financial markets. Mr. Velez' most recent endeavor is the WealthTradeTM Program. This unique program is designed to teaching and training his many followers how to handle themselves in the far more complex world of long-term trading for wealth, using futures, commodities, currencies and equities. Unlike his Trade for Life program, which focused entirely on income generation, his long-term strategies are designed to educate traders on how to accumulate and preserve sustainable wealth over a lifetime. 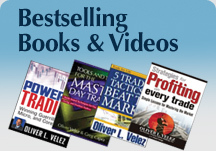 Mr. Velez' educational DVDs have sold more copies than any other financial expert in history. Among them are Essential Strategies to Trade for Life, 5 Trading Tactics that Beat the Market and Trade for Wealth: Attaining Sustainable Wealth in Today's Market.